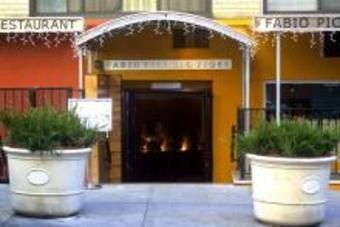 Welcome to Fabio Piccolo Fiore fine Italian restaurant and lounge. We offer classic northern and southern italian cuisine with world class service at reasonable prices. Fabio Piccolo Fiore has an elegant atmosphere with nightly entertainment. Fabio Piccolo Fiore is the perfect setting for a romantic dinner surrounded by replica artworks of Renaissance Artists Leonardo da Vinci, Bronzino and Raphael. Whether you are looking for authentic italian cuisine, planning a special affair, or need a great location for business luncheon, Fabio Piccolo Fiore Italian Restaurant in Midtown Manhattan NYC is the perfect choice.